This comes via the Los Angeles Times. The median house price in California fell almost $210,000 in a single year. Wow! California's housing market continued its historic decline in May, as a flood of foreclosed homes for sale drove down the median price paid for a single-family home by a stunning 35% from year-earlier levels, the California Assn. of Realtors reported today. The median price paid for a single-family home in the state dropped by almost $210,000, from $594,530 in May 2007 to $384,840 in May 2008, the association reported. That drop represents a decline of $3,800 per week, or $549 per day, and is the highest ever measured by the association. The price decline appeared to be accelerating from April to May, as median prices dropped by 4.7% in that period. “The statewide median price declined 35.3% to $384,840 in May, a record for year-to-year percentage decreases in the median, reflecting the effect of large numbers of short sales and foreclosures in the market,” said association Vice President and Chief Economist Leslie Appleton-Young. Update: After looking at S&P's constant quality index, which does not show quite as big of a drop, I suspect that part of the $210,000 drop recorded by the California Realtors is due to a change in the mix of housing that is sold. The 808housing blog points out that mortgage fraud on the islands is even higher than on the U.S. mainland. According to the Honolulu Advertiser article, the combination of lax standards coupled with the high cost of living in Hawaii have led an increase in bogus mortgage schemes. In fact, Hawaii is outpacing the majority of Mainland markets that deal with similar mortgage fraud schemes. On Wednesday, a clearly frustrated Banking Committee Chairman Christopher Dodd, D-Conn., who negotiated the housing legislation, said lawmakers were close to getting passage on the bill "if only we can get it to the floor." Critics of the plan say lenders are more likely to saddle the program with their worst loans - those most likely to foreclose. The Congressional Budget Office estimates that the program would end up guaranteeing 400,000 loans worth $68 billion, and of those, about a third would result in default. The CBO estimates the net loss from those defaults would be $680 million, or 1% of the total loan amounts guaranteed. Another provision would raise the cap on the size of mortgages guaranteed by Fannie and Freddie to $625,000 from $417,000. The House version raises the limit to nearly $730,000. House Speaker Nancy Pelosi, D-Calif., whose state has some of the priciest real estate in the nation, made her preference clear in a press conference on Thursday. "We want higher limits." ...Among the tax breaks in the legislation is a one-year tax credit for first-time buyers that would be worth up to $8,000. But in effect, the credit would work as an interest-free loan that the home buyer would eventually need to repay. Again, as before, I encourage you to email your senators asking them to oppose the bill. InvestmentNews shows that home equity as a percentage of value has steadily declined since World War II. I do not believe this is a problem as long as people aren't over-paying for homes. However, the problem this decade has been that people were buying homes for more than their intrinsic value. Financial leverage can magnify your gains if you buy at sensible prices, but it can also magnify your losses when you pay too much for real estate. "I would work with our friends in OPEC to convince them to open up the spigot, to increase the supply," Mr. Bush, the presumptive Republican candidate for president, told reporters here today. "Use the capital that my administration will earn, with the Kuwaitis or the Saudis, and convince them to open up the spigot." "Ours is a nation that helped Kuwait and the Saudis, and you'd think we'd have the capital necessary to convince them to increase the crude supplies," he said. I'm glad to see it worked out so well. Any comments from readers? Is the Wealth Effect a Myth? The wealth effect is the tendency of consumers to increase their spending during times of financial boom and cut back on spending during times of financial bust. Christopher Flavelle, writing for Slate, says the wealth effect is a myth. The premise behind the wealth effect seems sensible enough: When the value of your assets—like stocks or a house—rises, you feel wealthier and are more likely to splurge. When it falls, you're likely to curb your spending, either because you can't take as much equity out of your home or because you simply feel poorer and so change your behavior. Aggregated across the economy as a whole, the wealth effect suggests that current falling home prices should lead to a recession. That premise underpins much economic writing.... Yet the idea of a wealth effect doesn't stand up to economic data. The stock market boom in the late 1990s helped increase the wealth of Americans, but it didn't produce a significant change in consumption, according to David Backus, a professor of economics and finance at New York University. Before the stock market reversed itself, "you didn't see a big increase in consumption," says Backus. "And when it did reverse itself, you didn't see a big decrease." However, more Americans own houses than own stocks—shouldn't a change in home equity have a bigger impact on spending than a change in the stock market? Not so, says Backus. "There wasn't much of a wealth effect on the way up [for housing prices]," says Backus, "and probably there won't be much of a wealth effect on the way down, either." Tobias Levkovich, the chief U.S. equity strategist for Citibank, says focusing solely on housing as the driver for consumer spending is misleading. Levkovich found that if Americans had spent all the equity they took out of their homes, consumption since 2002 would have been two to three times higher than it actually was. "The story about housing-driven consumer spending persists in the absence of hard data," he wrote in a report to investors in February, adding that household deposits like savings accounts and short-term certificates of deposit grew by more than $1.5 trillion over the same period—indicating that some of the home equity was saved, not spent. "None of this diminishes from the pain that some people are suffering because of home price declines," says Levkovich. "But if you're talking economics, GDP is far bigger than that; consumer spending is far bigger than that." Falling home prices will continue to be a political issue this year.... But those falling prices don't automatically mean we're in for economic payback—however ominous the headlines. Could this be why the data suggests we have been avoiding a recession so far? Here's the graph of the day, courtesy of Paul Krugman. It shows the change in real home prices vs. the change in real owner-equivalent rents since January 2000. Millions of Americans have negative housing equity, meaning that the outstanding balance on their mortgage exceeds their home’s current market value. 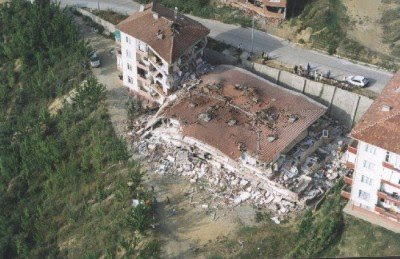 Our data show that the overwhelming majority of these households will not lose their homes. Our finding is consistent with historical evidence: we examine more than 100,000 homeowners in Massachusetts who had negative equity during the early 1990s and find that fewer than 10 percent of these owners eventually lost their home to foreclosure. This result is also, contrary to popular belief, completely consistent with economic theory, which predicts that from the borrower’s perspective, negative equity is a necessary but not a sufficient condition for foreclosure. Our findings imply that lenders and policymakers face a serious information problem in trying to help borrowers with negative equity, because it is difficult to determine which borrowers actually require help in order to prevent the loss of their homes to foreclosure. I think this makes a very important point that I have believed throughout the mortgage crisis. People don't just walk away from a home because their mortgage balance is more than the value of their home. The reason is that most homeowners have an emotional connection with their home. They love their home. In addition, not only is moving a big hassle—especially if you have lots of stuff—but for parents it potentially means taking their children out of their school and away from their friends. Homeowners tend to go into foreclosure only when they have negative equity and can no longer afford the payments. One caveat with the above study is that the late-80's bubble that this research is based on is minuscule compared to the bubble that exists across much of the U.S. today. I'm curious to know what readers think. If you owned a home with substantial negative equity, would you walk away from it even if you could afford the payments? Economist Dean Baker saw the "Bank of America Bailout Bill" for what it really is. The proposals currently being circulated to have the government buy up or guarantee mortgage debt for homeowners facing foreclosure are likely to benefit banks more than homeowners. Under proposals similar to the one developed by OTS, most homeowners aided by the plan would never accumulate any equity in their home. Furthermore, they would be paying nearly twice as much in monthly housing costs for the period that they stayed in their homes as if they rented a comparable unit. While this proposal does little to aid homeowners, it could lead to the transfer of billions of dollars, or even tens of billions of dollars from taxpayers to banks. The current housing crisis was allowed to develop because those in positions of responsibility somehow failed to see an $8 trillion housing bubble. This bubble created an average of $110,000 in housing bubble wealth for every homeowner in the country, hugely distorting the housing market and the economy. It would be unfortunate if the same people who were responsible for this massive failure were allowed to compound the economy’s problems with ill-conceived bailout plans that ostensibly are designed to help homeowners, but really only benefit banks and other mortgage holders. Everybody thank Senator Chris Dodd and Congressman Barney Frank for the bank bailout. Does America Have an Anti-Renter Bias? 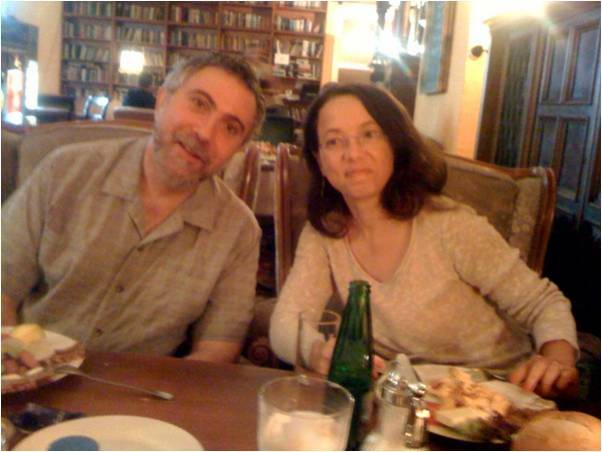 Princeton University economist Paul Krugman says yes, America does have an anti-renter bias. Here’s a question rarely asked, at least in Washington: Why should ever-increasing homeownership be a policy goal? How many people should own homes, anyway? And the belief that you’re nothing if you don’t own a home is reflected in U.S. policy. Because the I.R.S. lets you deduct mortgage interest from your taxable income but doesn’t let you deduct rent, the federal tax system provides an enormous subsidy to owner-occupied housing. On top of that, government-sponsored enterprises — Fannie Mae, Freddie Mac and the Federal Home Loan Banks — provide cheap financing for home buyers; investors who want to provide rental housing are on their own. All I’m suggesting is that we drop the obsession with ownership, and try to level the playing field that, at the moment, is hugely tilted against renting. And while we’re at it, let’s try to open our minds to the possibility that those who choose to rent rather than buy can still share in the American dream — and still have a stake in the nation’s future. The full article is well worth reading and points out some of the downsides to homeownership. On another note, Krugman says high oil prices are not the fault of financial speculators. Please Help Stop the Mortgage Bailout! The U.S. Senate is expected to vote tomorrow on whether to use your tax dollars to bail out irresponsible homeowners and mortgage lenders. Please take a moment to email your senators about your opposition to the mortgage bailout. Just click here, then click the "CONTACT CONGRESS" link and there will be a pre-written email for you to send. Now is the time to take action, because they are voting tomorrow! 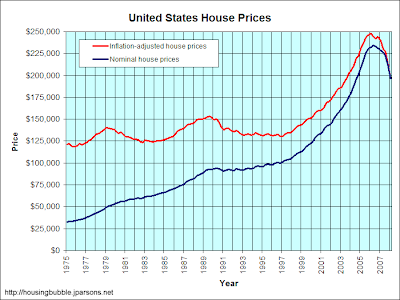 Click on the image to see the full-sized graph of housing prices for the whole United States. Update: Look at the nominal price flattening that occurred in 1989-1993 and compare it to the nominal price decline that is occurring now. Then listen to the advice of Barbara Corcoran, the "legendary founder of Corcoran Realty." She says 1989 was worse. I say B.S. Furthermore, she says "no one would conflict with the idea that this is within the bottom." Actually, I conflict with that idea. 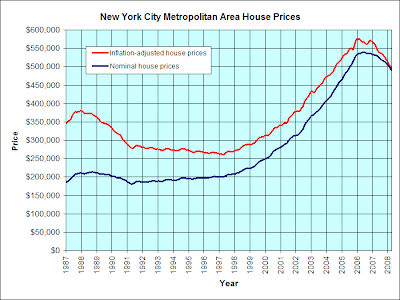 Inflation-adjusted housing prices are still extremely expensive compared to their historic norm. I say Barbara Corcoran, like many real estate professionals these days, is flat out lying. "The Bank of America Bailout Bill"
On Tuesday, the United States Senate is expected to vote on the Dodd-Shelby Bill. The bill is officially named the "FHA Housing Stabilization and Homeownership Retention Act of 2008," however some congressional insiders are calling it "The Bank of America Bill" because of how it would benefit the bank. Bank of America even has a discussion document to promote the bill in Congress. 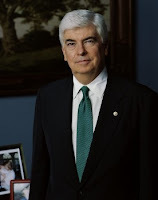 Examiner.com gives details on Senator Chris Dodd's sweetheart mortgage from Countrywide Financial, as well as Bank of America's political contributions. Bank of America is buying Countrywide. Countrywide's VIP loan to Dodd, which saves the Banking Committee chairman $75,000 over 30 years, smells like a potential quid-pro-quo now that Dodd has pushed a bill that will save the company from itself, but what about Bank of America's behavior? Bank of America's political action committee (PAC) has donated $20,000 to Dodd since he became chairman of the banking panel 17 months ago. From January 2007 to March 2008, Bank of America employees have donated at least $50,400 to Dodd's campaigns, according to the Center for Responsive Politics. So, while Dodd's sweetheart loan from Countrywide saves him personally $200 per month, his chairmanship earns him politically more than $1,000 per week. These aren't bank tellers funding Dodd, either, as contributors include Bank of America's director of government affairs John Collingwood and Barbara Desoer, who oversees the merger with Countrywide and will "run the combined companies' mortgage operations," according to The Los Angeles Times. Only Barack Obama and Hillary Clinton have received more Bank of America money than Dodd during the current election cycle. Republican nominee John McCain slightly trails Dodd, with $64,000 in reported Bank of America contributions. Bank of America stands to profit most from a bailout. It will take on Countrywide's bad loans, and under Dodd-Shelby, it could shift the worst ones onto the shoulders of taxpayers, via the Federal Housing Authority. Basically, Uncle Sam will buy Countrywide's stinky loans off of Bank of America. Bank of America is kind of like an investor trying to "flip" a house: they buy a run-down property (Countrywide) for a discount, shell out some campaign contributions and earn some "sweat-equity" through lobbying. If Dodd gets his way, it will be a good investment for Bank of America. To make things worse, the Associated Press is now reporting that President Bush may actually sign the bill despite his veto threat. Again, you can very easily contact Congress and President Bush with a pre-written email opposing the bill by clicking here. From last fall: British comedians explain the subprime mortgage crisis. The U.S. Federal Reserve's recent tough talk on inflation served notice to financial markets that the central bank was serious about tamping down price pressures, but it has hit the economy in one of its tenderest spots — housing. Markets took immediate heed of surprisingly strong comments delivered by Fed Chairman Ben Bernanke and Vice Chairman Donald Kohn on inflation earlier this month and began to judge chances of a rate hike at the Fed's August meeting a near certainty. 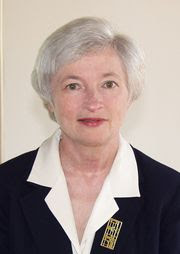 But a side effect of this new respect for the central bank's commitment to price stability came in the form of elevated longer-term interest rates, which reflects a steeper than previously expected march up in the overnight borrowing costs that the Fed controls. These higher long-term rates on Treasury securities have quickly translated to higher rates for fixed-rate mortgages, a drop in mortgage applications and a slide in home loan refinancing that could push the prospect of a strengthening in anemic economic conditions further into the future. "The Fed's tougher line on inflation has had some benefits in terms of the firmer dollar, and has taken some of the steam out of commodity prices," said Mark Zandi, chief economist for Moody's Economy.com. "But it also has created some problems, the most obvious being...another hit to the already fragile housing market." How Can a Reporter Who Covers the Housing Market Not Know This? Prof. Case showed me a chart of home prices for the top twenty markets in the country—all the numbers I’m used to reporting, but one column I hadn’t seen. The first column was percentage price drops from the peak in 2005-6, the –28 in Las Vegas, the –26 in San Diego, the –25 in Miami. But the new column was percentage price increases from March of 2000 to March of 2008. Every single market was in the positive, except Detroit, which has its own, non-housing bubble issues. Miami prices are still up 109 percent from 2000. Los Angeles home prices are still up 107 percent from 2000. Has she never seen any graphs of home prices or looked at the publicly-available S&P/Case-Shiller spreadsheets? Housing is still way overvalued. We are still much closer to the top than we are to the bottom. In fact, I'm willing to bet that most people predicting that the bottom is right around the corner don't realize how high prices have risen. 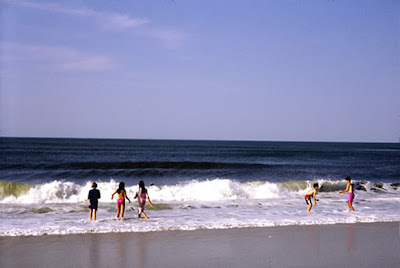 I know this is completely off-topic, but I just thought I'd remind everyone that it is now summertime. It's time to go out and play! It became summer on June 20 at 11:59 PM Universal Time, 7:59 PM Eastern Time and 4:59 PM Pacific Time—the very minute I posted this blog post (assuming Google keeps their clocks running accurately). If you live in the southern hemisphere: Ha-ha! It's now winter. Senate Debating Bailout. Bush Threatens Veto. The White House threatened to veto a major housing rescue bill on Thursday just as the U.S. Senate began debate on it, setting up a partisan fight over legislation that backers say could save hundreds of thousands of distressed homeowners from foreclosure. With home prices falling and foreclosures on the rise, Democrats in Congress were pushing for aggressive federal action, with the support of some key Republicans. But other Republicans were raising objections and seeking delay. Congressional leaders were trying to hammer out a final bill and send it to President George W. Bush before lawmakers leave town at the end of next week for the July 4 holiday. The Senate's bill, headed for a vote within days, closely resembles one already passed by the House of Representatives that has also drawn a Bush administration veto threat. Both bills would also retool the government regulator that oversees Fannie Mae and Freddie Mac, the congressionally chartered companies that are the nation's largest sources of mortgage finance, as well as raising the limit on the size of mortgages that may be financed by the two and the FHA. The White House said in a statement that if the Senate legislation were sent to Bush as now drafted, "his senior advisers would recommend that he veto this bill." Some critics have said the legislation would unduly benefit Countrywide. There have also been questions about whether two Democratic senators—Connecticut's Christopher Dodd and North Dakota's Kent Conrad—received special discounted mortgages when they financed properties with Countrywide. Please click here to send a quick email to your senators and President Bush to let them know you oppose the bailout. As someone who voted for both Gore and Kerry, I don't say this often: Go George Bush! "Mortgage fraud and related securities fraud pose a significant threat to our economy, to the stability of our nation's housing market and to the peace of mind to millions of Americans," Deputy Attorney General Mark Filip said in a statement Thursday. The Justice Department and FBI planed to announce the cases at an afternoon news conference in Washington. The Federal Government should have investigated and prosecuted mortgage fraud aggressively many years ago when it would have had much more of a positive impact. Back then it would have helped slow the speculative and fraudulent nature of the destructive housing bubble. Still, I'm glad the feds are going after mortgage fraud. Hopefully, they will find and prosecute the infamous Casey Serin. Home prices are down 20 percent from their peak in 2006 and are falling rapidly across the country. Experts predict an additional 15 percent decline during the coming year as the housing price bubble is undone. I believe the federal government should create a firewall to prevent too great a fall in housing prices. It is important to go beyond the legislation that is about to be enacted by the Senate, which would help some homeowners who have negative equity but would not do anything to forestall the growth of this problem. This can best be done through a program of mortgage replacement loans. Such a program might be structured this way: The federal government would offer all homeowners with mortgages the opportunity to replace one-fifth of their existing mortgage (up to some dollar limit) with a government loan. This loan would carry a substantially lower interest rate than the individual's mortgage (reflecting the government's cost of funds). It would be a full-recourse loan that would have to be repaid regardless of what happens to the borrower's mortgage or home. By law, it would take priority over all non-mortgage debt. Such a mortgage replacement loan would eliminate the potential incentive to default for almost all homeowners who now have positive equity. In doing so, it would limit the number of foreclosures that could contribute to a downward spiral. A program of mortgage replacement loans would act as a circuit breaker to reduce the number of defaults that would otherwise occur as the housing bubble inevitably deflates. In doing so, it would stop prices from overshooting on the way down in the same way they did on the way up. Feldstein is nuts. He claims to be worried about "overshooting" on the way down. History shows that declining home prices don't overshoot the way stocks often do. Instead, the decline slows as prices approach fair value. Then nominal prices stop falling as inflation gradually eats away at the real value of real estate. Nominal prices start rising again only when they have roughly reached fair value. The reason real estate prices don't overshoot on the way down is because they are sticky downwards. Feldstein's concern about overshooting suggests that he thinks the fair value for real estate is a lot higher than it actually is. Notice that he thinks a 15% decline over the coming year would be enough to return housing to reasonable levels. (He's using real numbers, not nominal. With our current 4% inflation rate, he's talking an 11% nominal decline over the next year.) Feldstein's real aim is to prevent a much-needed real estate correction. 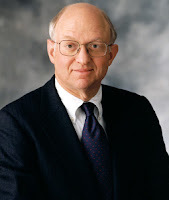 Feldstein is a Republican. I thought Republicans were supposed to believe in the free market. 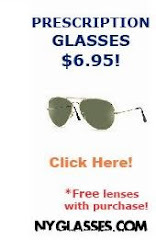 I guess they do except for when they don't. Flashback 2005: We Were Warned! 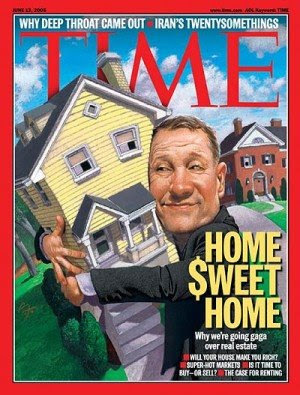 Many people who believe in the magazine cover contrary indicator used this cover as evidence that there was no housing bubble. Of course, they ignored the Time cover from a week earlier. During the late 1990s, The Economist correctly and repeatedly warned that stocks were experiencing a bubble. Likewise, during this decade it correctly and repeatedly warned that housing was experiencing a bubble. If anything, The Economist tends to warn too early, while most publications tend to warn too late. The Sacramento Association of Realtors says that a whopping 65.5% of 1,654 homes sold by Realtors in May were bank-owned, foreclosed, homes. The median sales price in Sacramento County and the City of West Sacramento May was $230,250, down 34.2% from a year ago. The good news for the overall housing market is the inventory of foreclosed homes is starting to move. Realtor sales overall in Sacramento in May were up 76% from a year ago and up 14% from April, the local trade group said. But as housing economist Thomas Lawler pointed out in a recent research note, “non-distressed home sellers found little solace” in the Sacramento sales “boom.” The banks appear to be offering bargain basement prices that mom-and-pop home sellers can’t stomach. 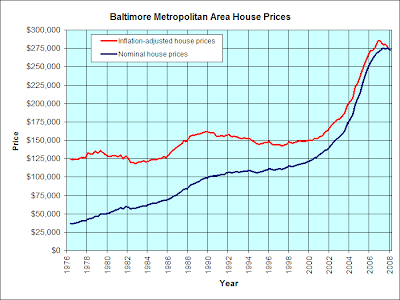 Click on the images to see full-sized graphs of housing prices for Washington, D.C., Baltimore, Maryland, and New York City. U.S. home prices may fall as much as 30 percent through 2010 and push high-yield bond valuations close to levels seen during the last recession, a J.P. Morgan analyst said on Wednesday. "The housing correction is in a down phase," Peter Acciavatti, credit analyst and managing director at JP Morgan Securities Inc, said during a a high-yield bond conference in New York. "We're now going through a phase of deleveraging and the pulling out of easy money." Home prices may fall 25 percent to 30 percent from their peak in 2006 and not hit bottom until 2010, with greater drops still in subprime mortgage debt markets, he said. This video is from 60 Minutes three weeks ago. Running time, including the initial advertisement, is about 15 minutes. 60 Minutes airs again tonight on CBS. BusinessWeek says option ARM resets will start a new wave of foreclosures in April, 2009. With the subprime mortgage crisis already crippling the U.S. economy, some experts are warning that the next wave of foreclosures will begin accelerating in April, 2009. What that means is that hundreds of thousands of borrowers who took out so-called option adjustable-rate mortgages (ARMs) will begin to see their monthly payments skyrocket as they reset. About a million borrowers have option ARMs, but only a fraction have already fallen due. "Most of the public is thinking that the subprime thing is over, but this is another thing waiting," Bhattacharya said. "The problem for these borrowers is that once you go underwater, it's very hard to refinance, and if you cannot refinance there is very little option for you." But options are available—even if refinancing isn't possible. Lenders have been working with borrowers to reduce loan amounts and interest rates and, in some cases, simply accept the deed in lieu of foreclosure. Moe Bedard, founder of LoanSafe.org in Corona, Calif., a free online forum that helps homeowners negotiate loan modifications, said the larger problem is that banks, many of which laid off scores of loan officers, are so swamped that many borrowers can't get the attention they need. Many California homeowners, including some with $2 million homes, are simply making their minimum payment, waiting for the recast. Then they plan to walk away, even if it damages their credit, Bedard said. "A lot of people are just walking," Bedard said. "It's just a business decision; they don't have a lot of skin in the game." But for many others it will be devastating. Kudos to Anonymous who notified us of this article in the comments. 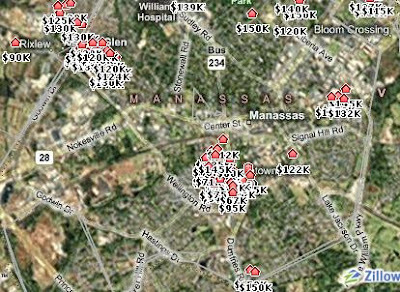 Homes selling for less than $150,000 in Manassas, Virginia. Compare this with the $371,800 median house price in the Washington, DC metropolitan area. Reason Magazine defends renters from the politicians' attack on affordable homeownership. In their concerted attempt to “keep Americans in their homes,” Clinton, Obama, and McCain have called for the federal government to spend billions of dollars to curtail foreclosures and shield Americans from the consequences of their own risky investment decisions. Makes you think the candidates are on your side. Lost in the rush to help troubled borrowers is an understanding of what this crisis isn’t: a situation in which “Americans are losing their homes.” More accurately, borrowers who can no longer afford their mortgage payments are becoming—gasp!—renters. “Americans are living in other people’s homes” doesn’t quite tug at the heartstrings the same way, which is part of the reason you’re not hearing about it. Also lost in the flood of campaign promises is the housing bubble’s true crisis, which barely anyone in Washington cares to mention. In 2001 renters who wanted to buy a house in Los Angeles County could expect to spend about $200,000, roughly the area’s median home price at the time. By the peak of the housing bubble in 2007, the median price had shot up to about $550,000, which the California Association of Realtors estimated would easily take more than $100,000 in annual pre-tax income for a family to afford. Wrap your civic-minded intellect around that one: more than $100,000 a year to afford a modest home. Candidates, there’s your crisis—and thankfully, the market is already taking care of it, through the correction of foreclosures and the resulting increase in the supply of available housing. All a President Clinton, Obama, or McCain would have to do is watch from the Oval Office as that great American dream of homeownership becomes more and more accessible to the likes of me. Unless, that is, the next president is against affordable housing. While Reason Magazine puts the blame on Clinton, Obama, and McCain, the real generals in the war on renters are Senator Christopher Dodd and Congressman Barney Frank. The new monthly numbers for May 2008 are out from the MRIS (Metropolitan Regional Information Systems) the multiple listing service for the area. YoY = Year over Year, that is the comparison between May 2008 and May 2007. These numbers include all housing units ( not just single family residences but also condos and co-ops). These are for housing units listed on the MRIS's MLS (and thus do not include some foreclosures or private sales, or many new home sales). 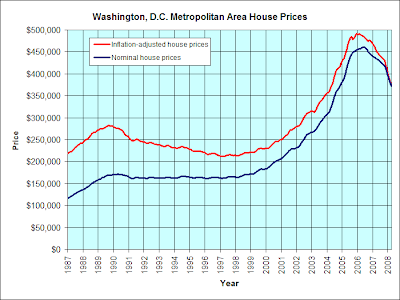 The housing market in the Washington and Baltimore area has been declining in the Washington, DC for over 2 years. Thus the year over year comparisons only represent a portion of the declining housing market. These numbers show a declining housing market in the Washington - Baltimore area compared to last year. In most jurisdictions listed inventory remains elevated (above 6 months) and sales remain low. In Prince William County, VA lower prices are driving higher sales which in May were up an incredible 68% compared to May 2007. Median sales price stood at 256K which is down 31% from last year. The median price was 392K in May 2005. For more information on Northern Virginia please see A Decade of A March Sales at Greater Northern VA Housing Bubble Fallout. There are significant market statistics which should bring cheer to housing heads. Despite, all the above, the Washington - Baltimore area is not, yet, recovering from the housing decline. 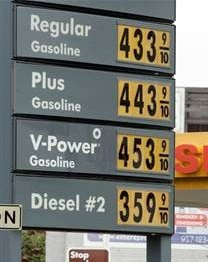 Prices continue to fall. Although prices are falling slowly in the desirable neighborhoods within the Beltway, far out suburbs and condos are experiencing larger percentage declines. In the metropolitan area a declining housing market is still a reality. Housing busts usually last many, many years. Further price declines are coming this year. The housing crisis grew worse in May, as more than 73,000 American families lost their homes to bank repossessions, up a staggering 158% from the 28,548 households that were dispossessed in May 2007. Foreclosure filings of all kinds, including default notices, notices of sheriff's sales and bank repossessions, were up 48% from May 2007, according to the latest release from RealtyTrac, the online marketer of foreclosed properties. Filings increased 7% from April. "May was the 29th straight month we've seen a year-over-year increase," RealtyTrac's CEO James Saccacio said in a statement. Realtors Shoot the Messenger. Another Messenger Fires Back. The National Association of Realtors attacks the S&P/Case-Shiller Home Price Index. Unhappy with the falling numbers coming from S&P/Case-Shiller, NAR has decided to attack the messenger. Also on the attack is Bernice Ross, whose book, Waging War on Real Estate's Discounters: How to Unlock the Door to a Full Commission, suggests her interests lie with real estate agents, not the public. However, Matt Carter of Inman News responds by punching holes in the attacks on S&P/Case-Shiller. What really seems to rankle NAR is the fact that the S&P/Case-Shiller index is widely considered to be the most accurate of the various home price indexes. S&P/Case-Shiller is considered to be the best for several very good reasons. First, unlike NAR's housing data, both OFHEO and S&P/Case-Shiller track the same homes over time. This gives both OFHEO and S&P/Case-Shiller an advantage over NAR. Third, unlike S&P/Case-Shiller, OFHEO's index doesn't just track purchases, but also appraisals for refinanced mortgages. The flaw here is that there can be a big difference between what a house appraises for and what it can actually sell for. Soon after S&P/Case-Shiller released their index, OFHEO felt the need to respond by releasing a purchase-only version of their own index. However, to be fair, I should point out a problem with S&P/Case-Shiller as it gets reported in the news. There are actually multiple S&P/Case-Shiller indexes: one national index, twenty metropolitan indexes, a 10-city composite index and a 20-city composite index. The national index is the best measure of the U.S. as a whole. The metropolitan indexes are the best measures of the 20 individual metropolitan areas covered. However, the 10- and 20-city composite indexes are not measures of any actual, cohesive geographical area. And since they focus on big cities, where housing is most overvalued, they tend to over-exaggerate the housing decline. But, since the national index only gets released quarterly, while the 10- and 20-city composite indexes get released monthly, journalists report the composite index numbers about three times as often as they report the national index numbers. Hat tip to the Housing Derivatives blog for pointing out both NAR's attack on S&P/Case-Shiller and Matt Carter's rebuttal. CNNMoney.com's Les Christie has a warning for people who think that today's housing market is a buying opportunity: "It'll get worse." With home prices plunging by more than 30% in some markets, bargain-hunters are ready to pounce. But it may pay for buyers to wait. Many housing experts say that the worst-hit metro areas have even farther to fall, and could see total drops of as much as 50%. "The housing boom was unprecedented in U.S. history," said Michael Youngblood, a portfolio analyst with FBR Investment Management, "and the correction will be as well." Youngblood expects that these markets will likely endure total price drops of 50% or more. "The people who are putting their money where their mouths are," said Perna, "are betting on more losses." Specifically, Case/Shiller investors are betting that Las Vegas prices will fall an additional 22% by November 2009. Los Angeles futures predict a loss of 24.2% through November 2009, while investors expect to see Miami down 21.6% by then. Lawrence Yun or Most Forecasters, Who to Believe? Lawrence Yun, chief economist for the National Association of Realtors, expects a "soft" first half of this year for housing and the economy and then "notable improvement" in the second half of the year. But U.S. Treasury Secretary Henry M. Paulson Jr. notes in a recent speech that "most forecasters expect a prolonged period of adjustment" in housing. Hmmm. Who should we believe? The Realtors—to whom negative housing news is like Kryptonite—or most forecasters? The futures market is also pointing to continued price declines throughout all of 2008. Now let me turn to the second of the three main factors behind the current economic weakness—namely, the housing cycle. I have mentioned that earlier in this decade when financial markets were "awash in liquidity," bubble-like conditions emerged in many areas of the economy, including housing. 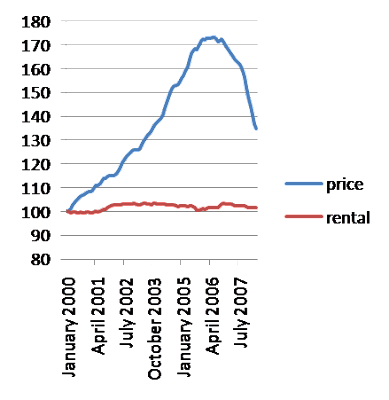 During this period, housing construction was very strong and housing prices soared. In fact, the ratio of house prices to rents—a kind of price-dividend ratio for housing—reached historical highs by early 2006, suggesting that house prices might be well above those that could be justified by fundamentals. Since then, housing markets have "hit the skids." In inflation-adjusted terms, residential construction fell by 13 percent in 2006 and by 14 percent in the first half of last year. Of course, once the financial shock hit last summer, things got even worse, with real residential construction dropping at a 24 percent rate on average since then. And, indicators of conditions in housing markets are pointing lower for the future. Housing starts and permits as well as sales are trending down, and inventories of unsold homes remain at very high levels. These inventories will need to be worked off before construction can begin to rebound. I’ve already discussed the precipitous fall in house prices nationally, so it’s striking to note that, even with these declines, the ratio of house prices to rents remains quite high by historical standards. That, of course, suggests that further price declines may be needed to bring housing markets into balance. This perspective is reinforced by futures markets for house prices, which expect further declines in a number of metropolitan areas this year. In particular, the Case-Shiller composite index for home prices shows a 15 to 20 percent year-over-year decline in the second half of this year. The bottom line is that construction spending and house prices seem likely to continue to decline well into 2009. MacroShares Housing Depositor, a subsidiary of MacroMarkets LLC, filed with the Securities and Exchange Commission for exchange-traded securities that will allow investors to invest in the upward and the inverse movement of U.S. home prices. MacroShares Major Metro Housing Up and Down securities will be based on the S&P/Case-Shiller Composite-10 Home Price Index and will allow investors to access this important, but illiquid, asset class. When launched, these revolutionary paired securities will have a ten-year term and will feature a 2x (200%) leverage factor. More details can be found in the SEC filing. Hat tip to the Housing Derivatives blog for finding this. Follow up: Perhaps Joe Lieberman would like to blame Wall Street speculators for the decline in housing. After all, when financial markets forecast unfortunate events, financial speculation must be the cause—not the effect—of the events. Shawn Tully of Fortune magazine reports that KB Homes is reducing the sizes of the homes they build. [KB Homes CEO Eli Broad] does not miss much. The 75-year-old real estate pioneer has seen bull and bear markets, and in recent years he watched as the company he founded (and cashed out of so he could focus on philanthropy) lost its way. During the bubble, KB Home, like many other big builders, blew up its old-line business by going ritzy and building expensive houses. Now KB is among the first homebuilders to recognize the error of its ways, and it is returning to its roots as a purveyor of low-cost, smaller homes. In some cases KB is even using the same façades from the go-go years and then shrinking the house that lurks behind them to be half as deep—and about half as expensive. "If I had to write a headline for housing, it would be back to basics," says Broad. "The right thing to do is just what KB is doing: build starter homes that compete with rentals." Today seven in ten KB customers are getting financing from the FHA. The current rates are below 6%, more than 100 basis points under those on jumbo mortgages not backed by the FHA or Fannie Mae or Freddie Mac. (Fannie and Freddie lend less readily to people with past credit problems and hence aren't as crucial to the entry-level market as FHA financing.) Congress has raised the FHA limit to $729,750 in high-cost areas like Los Angeles through the end of 2008. But even if the limits aren't extended, virtually all the houses KB sells are priced for an FHA loan. The 77-floor, 1,046ft building was built in 1930 for Chrysler, the car company, and designed with the aim of making it the world’s tallest man-made structure, overtaking the Eiffel Tower. But it held that title for only a short period, with the Empire State Building replacing it in the record books the following year. Chrysler no longer occupies the 1.2m sq ft property. But its tapered steel roof ensures that the skyscraper remains one of the most distinctive features of the Manhattan skyline. But many of these property-tax initiatives, while politically popular, mask a hidden truth: They are likely to lead to increases in other kinds of taxes. So-called "swaps," under which property taxes are cut and made up for by levies elsewhere, have been popular in statehouses.... But even when states don't make such deals outright, they may in the long run resort to tax increases to plug revenue holes. The national movement against property taxes dates to the 1970s. But the most recent real-estate bubble has given it more potency in certain regions of the country, like the New York City suburbs. The chief executive of Toll Brothers Inc., the nation's largest luxury-home builder, said Wednesday the housing industry is in a "depression" and any recovery could be two or three years away. In candid remarks at the JPMorgan Basics & Industrials Conference a day after reporting a second-quarter loss, Robert Toll said he's not ready to call a bottom yet since the housing market could still get worse. "Can the market go down another ten or twenty percent? Sure," said Toll, whose Horsham-based company will sit on cash unless a bargain land deal comes along. He said the current housing crisis is the worst he's seen since the mid-1970s, but back then the decline was relatively short-lived. The current downturn started in late 2005. "Maybe '74 and '75 was just as bad, but it was so short," Toll said. Hawaii, by the way, is my old home. Thousands of hard-pressed borrowers who could not afford a deposit for their home have been plunged into negative equity and thousands more could be at risk if house prices fall further, figures suggest. House prices have fallen by 7.7 per cent since the market turned in September, according to Halifax. Britain's big seven housebuilders saw more than £300 million wiped from their combined market value in early morning trading today as UBS slashed its targets across the sector, bringing to £13.5 billion the total value erased from the big builders in the past year. Analysts at UBS today gave warning of falls of up to 20 per cent in the price of new homes. A year ago Britain's seven largest housebuilders had a combined market value of £18.5 billion. Today's sell off diminished their combined value of the battered builders by over £300 million leaving them worth in total just under £5 billion. Calculated Risk has an update on Congresswoman Laura Richardson, whom I mentioned in an earlier blog post. The real estate broker who bought Rep. Laura Richardson's house at a foreclosure sale last month is accusing her of receiving preferential treatment because her lender has issued a notice to rescind the sale. James York, owner of Red Rock Mortgage, said he would file a lawsuit against Richardson and her lender, Washington Mutual, by the end of the week, and has every intention of keeping the house. "I'm just amazed they've done this," York said. "They never would have done this for anybody else." York bought the Sacramento home at a foreclosure auction on May 7 for $388,000. Richardson had not been making payments on the property for nearly a year, and had also gone into default on her two other houses in Long Beach and San Pedro. Richardson, D-Long Beach, has said that the auction should never have been held, because she had worked out a loan modification agreement with her lender beforehand and had begun making payments. Washington Mutual filed a notice of rescission of the foreclosure sale on June 2. That puts the bank squarely at odds with York, who has already put money into cleaning up the house and preparing it for resale. "They owe me the property," York said. "The sale was a good sale." York said an ordinary person would be unlikely to get the kind of consideration that Richardson has received from her bank. "They wouldn't even get a phone call back," he said. "They would laugh at somebody who would call and say, `We had some kind of agreement.' They wouldn't give you 10 cents' worth of time." Leo Nordine, a Hermosa Beach real estate broker who specializes in foreclosed homes, agreed that the rescission was out of the ordinary. "It's extremely unusual," he said. "Unless (the borrower) filed bankruptcy beforehand, they'd never do it." From two months ago today: Joseph Stiglitz, winner of the 1979 John Bates Clark Medal and the 2001 Nobel Prize in Economics, discusses the state of the economy. Keep in mind that even for the best economists, predicting the future of the economy is about as accurate as predicting the future of the weather—and for the very same reason. Both the economy and the weather are very complex systems with lots of independently moving parts. While we may be facing the worst recession in the past quarter century—we've only had two recessions during that time and both were mild—I think it's very unlikely that this recession will be worse than the early 1980's recession. At the beginning of the early 1980's recession, annual inflation was 10.3%. At the peak of the early 1980's recession, unemployment reached 10.8%. By comparison, today the inflation rate is only 3.9% and the unemployment rate is only 5.5%. Federal Housing Administration Commissioner Brian Montgomery told the National Press Club that Congress legislation proposing that the FHA back up to $300 billion worth of troubled mortgages—or about two million loans—would weaken the agency. "This is a worrisome idea," Montgomery said. "FHA is designed to help stabilize the economy, operating within manageable, low-risk loans. It's not designed to become the federal lender of last resort, a mega-agency to subsidize bad loans." Under this legislation, the U.S. taxpayer—via the FHA—would be guaranteeing the troubled mortgages on homes that continue to decline in value. Does anyone think this is a wise idea? Actually yes—the U.S. Congress. President Bush has threatened to veto the bill. You can help encourage a veto by calling the White House at either 202-456-1414 or 202-456-1111. Just call and say you want President Bush to veto Congressman Barney Frank's "American Housing Rescue and Foreclosure Prevention Act." Your hard-earned tax dollars are at stake. The bill has actually already passed both houses of Congress and the differences between the two versions are currently being ironed out. Then both houses of Congress will vote on the finalized version of the bill. Then it goes to the President. The quickest line of defense now is a presidential veto, so please call the White House. If President Bush vetoes the bill as he said he would, Congress will then try to override it, so the combination of calls to the White House, calls to your congressmen, and written letters to your congressmen would all be helpful. The Calculated Risk blog explains why the just-released pending home sales numbers are not as good as the press has made them out to be. In fact, Calculated Risk says, they are actually a negative omen for the future of housing prices. If we looked at existing home sales ex-REOs [Real Estate Owned by banks], we'd see that sales are still collapsing. And based on the recent MBA data, there is a flood of foreclosures coming. So maybe it will appear that sales are leveling out as the market is taken over by foreclosure sales, but that just puts more pressure on prices. So the two key points from the Pending Home sales report are that prices are probably falling quickly, especially in the low end areas, and that sales are being propped up as REO sales start to dominate that existing home market. Neither point is good news for housing. CNBC reports that Evander Holyfield's home is going to have a foreclosure auction on July 1. A legal notice that ran Wednesday in a small newspaper in Georgia said Holyfield's estate will be auctioned off "at public outcry to the highest bidder for cash" at the Fayette County courthouse on July 1. The 5,000-square-metre home—located on Evander Holyfield Highway—has 109 rooms, including 17 bathrooms, three kitchens and a bowling alley. Holyfield defaulted on a $10 million loan to Washington Mutual Bank, which will auction off his home on the courthouse steps. The Wall Street Journal reports that former Tonight Show sidekick and Star Search host Ed McMahon may lose his home to foreclosure. In addition, Congresswoman Laura Richardson has already lost hers. Mr. McMahon, a jovial fixture of American television for decades, is one of the most prominent people caught up in a wave of mortgage defaults that has devastated low-income areas, suburbia and even a few posh gated communities, such as the one where the McMahons live. U.S. Rep. Laura Richardson, a California Democrat, recently lost a home in Sacramento to a foreclosure. Rep. Richardson didn't respond to requests for comment. Update: Apparently, former baseball player Jose Canseco also lost his home to foreclosure. Further update: Here is a blog post explaining Why Athletes Go Broke. Roof Caves in on U.S. Housing Prices! The Economist reports that "America's house prices are falling even faster than during the Great Depression." AS HOUSE prices in America continue their rapid descent, market-watchers are having to cast back ever further for gloomy comparisons. The latest S&P/Case-Shiller national house-price index, published this week, showed a slump of 14.1% in the year to the first quarter, the worst since the index began 20 years ago. Now Robert Shiller, an economist at Yale University and co-inventor of the index, has compiled a version that stretches back over a century. This shows that the latest fall in nominal prices is already much bigger than the 10.5% drop in 1932, the worst point of the Depression. And things are even worse than they look. In the deflationary 1930s house prices declined less in real terms. Today inflation is running at a brisk pace, so property prices have fallen by a staggering 18% in real terms over the past year. Would You Like Fish and Chips with that Housing Bust? House prices have suffered their biggest annual fall since the property slump of the early 1990s, a leading index revealed on Thursday, in news that sent shares in some of Britain’s largest home lenders and builders tumbling. Year on year, house prices are now 4.4 per cent below their levels of May 2007, according to the Nationwide house price index. On an annual basis, that is the biggest fall since December 1992, when the UK was in the throes of a severe housing downturn. In May alone the index recorded a 2.5 per cent drop, its biggest one-month fall, wiping £5,000 off the average British home. The three month moving average, which smoothes out unreliable single month volatility, also slid sharply. In the three months to the end of May house prices fell by 2.9 per cent compared with the three months to the end of April. Fionnuala Early, Nationwide’s chief economist, said the streak of falling prices has lasted seven months, the longest consecutive period of declines since 1992. Spain's residential property market is heading for a hard landing, as tightening credit conditions exacerbate problems of oversupply and years of rampant price inflation, figures released Wednesday confirmed. Completed house sales for January dropped 27 per cent year-on-year, according to the National Statistics Institute (INE), while total lending to home-buyers fell almost 28 per cent to €13.4bn ($21bn, £10.5bn). The value of the average mortgage was down 3 per cent, to €142,794, despite higher financing costs. Irish house prices fell by 9.2% on the year in April, compared with a 8.9% decline in March, the independent think tank Economic & Social Research Institute, and Permanent TSB bank, reported Friday. In the first four months of 2008, the average national house price fell 3.3%. From a month earlier, prices fell 1.1% in April, according to the monthly survey. The average price paid for a house nationally in April 2008 was €278,521 (about $432,500), which compares with €287,887 at the end of last year, or €71,837 in December 1996 when the house price index began. 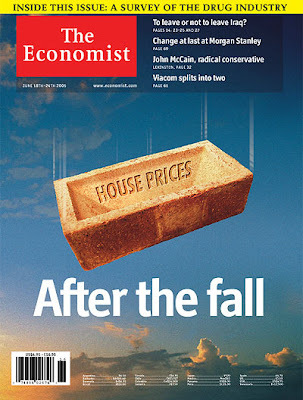 The Economist looks at global housing markets and finds prices in most countries are holding up well. Thanks to David for inviting me to be his co-blogger. There have been many times when I've seen a bit of news that I wanted to share with other bubbleheads, but didn't have a very effective way to do it without starting my own blog or posting it deep amongst a bunch of comments. At the same time, I didn't feel I had the dedication to single-handedly keep a blog going for an extended period of time. Joining David on his already-popular Bubble Meter blog seemed to be an ideal solution to the problem. The more people writing for a blog, the more likely it is to be updated regularly, and the more readers it will attract. So, I emailed him and offered to help out. Rule #2: All swear words must be replaced with "Lereah"
I'll cut his pay in half. Oh wait! 0 * 1/2 = 0. James live in the Washington, DC metropolitan area and has much knowledge about the local housing market as well as what is happening nationally. The delinquency and foreclosure rate for housing units surged in the 1st quarter of 2008. "The latest snapshot of the mortgage market, released Thursday, showed that the proportion of mortgages that fell into foreclosure soared to 0.99 percent in the January-through-March period. That surpassed the previous high of 0.83 percent over the last three months in 2007. The report by the Mortgage Bankers Association also found that more homeowners slipped behind on their monthly payments. The foreclosure rate will most probably continue to rise in the coming year as a wave of widely used option arms are resetting and as the economy deteriorates further. In the overwhelming majority of bubble areas 2008 will not be the bottom (for prices). This bust continues.